NAPLAN data for 2017 was released to schools on Tuesday 8 August and our Year 7 and 9 students have achieved very well across all assessments. Our students have achieved well above the state and national means for all test results. Secondly, the last graph and statistics show how the Year 9 student’s growth compares to the growth across the Nation. Throughout Semester One, our senior girls Basketball team have represented the College playing 11 games against a range of schools across Perth in the WA School Sports Championship. 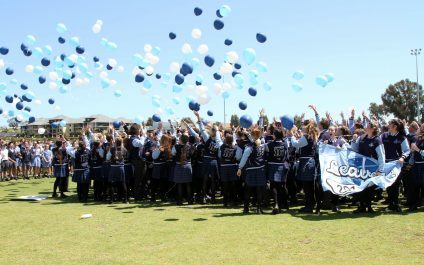 In a historic achievement, the girls were undefeated in the regular season earning them a place in the grand final held during the final week of Term 2. It was a daunting prospect to be facing Willetton SHS - winners of the championship 18 times in the past 21 years. Term 1 at Kennedy Baptist College is off to a flying start with all our students returning on Wednesday 1 February. Welcome back to all our students and a special welcome to all our new students, we hope that you enjoy the Kennedy experience. 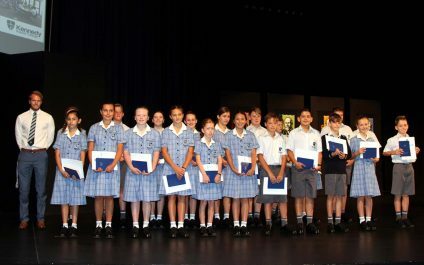 After an exciting pre-start day on Tuesday, over 200 Year 7 students and their parents attended a Welcome Assembly in the Auditorium where they were formally presented with their Bible and Commencement Certificate. 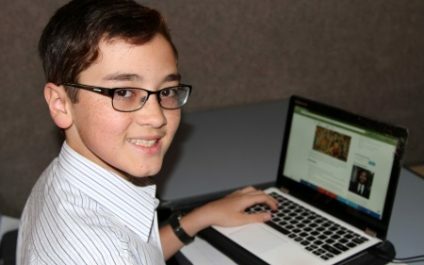 Trading on the Stock Market can be a scary business for some people, but not for Year 7 Kennedy Baptist College student Brandon Smith who trading as Smiths Chips, has just won first prize in the Australian Securities Exchange (ASX) Share Market Game. early breakfast by the river at Tomkins on Swan, students returned to the College for a whole school Assembly with an address by Mr Ashby, musical entertainment and some very amusing items from their Form Teachers. 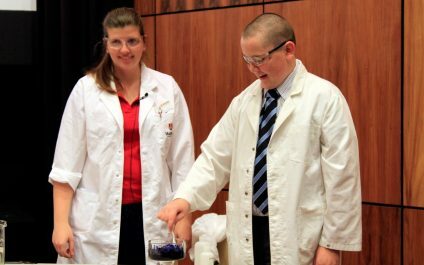 On Wednesday 20 July, our Year 7 extension and enrichment students were treated to a very “live and explosive” Science Show at Murdoch University. The excitement of large balloons filled with hydrogen and oxygen popping, misty clouds of dry ice spreading across the stage and learning the tricks of how to hammer a nail into wood using just a banana (frozen before in liquid nitrogen), kept students engaged and fascinated. 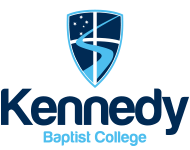 Kennedy Baptist College has continued its push to be at the cutting edge of secondary education with the completion of new state of the art science and creative arts facilities. 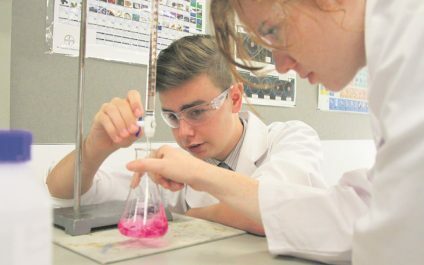 The Murdoch based secondary college has upgraded its science laboratories and arts studios as the school focuses on its STEAM (Science, Technology, Engineering, Arts and Mathematics) learning framework. We would like to congratulate the Year 12 students on their recent results in the WACE examinations and the final VET outcomes. CERTIFICATE OF COMMENDATION: A Certificate of Commendation is awarded to each eligible student who, in their last three consecutive years of senior secondary WACE enrolment, obtains at least 20 A grades in course units (including at least three two-unit combinations). The number of A grades in course units (including at least three two-unit combinations), may be reduced on a sliding scale to 14 if an AQF Certificate II or higher is achieved.